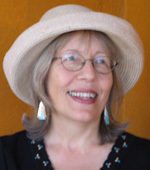 On Saturday, March 9, 2013 Diane read her poems — Mirage, Nostalgia and Sign Language at the Protea Gallery 3780 30th Street, North Park, San Diego in conjunction with the closing reception of Joyce Dallal’s art exhibition. an end here of our parenthesis? on this day of indulgence, reading between my old life’s lines. with a different full-length feature running on each minute crystal. humming like bees concocting the wax and honey of my days on earth. I am gone for as long as I can bear it; eons, maybe, or minutes. rendering all a blur, every line a wave, every wave a farewell. The third poem, Sign Language, from this reading at Protea Gallery, can be found in Interview, Part 2.
the lure of tears in a sigh? in a language I don’t know. to people who I don’t know. to live — like my mother. or fell from their lips like stones. My mother laughs at my accent. in her nearly vestigial tongue. To je v pravovani jako brapci zCzech! like the sparrows leaving Czechoslovakia! thump on the roof demanding entry, scorning the doors. sobbing with rich and compelling music. It’s not a question of winning or losing. loses, aunque siempre llenado con la perdida. 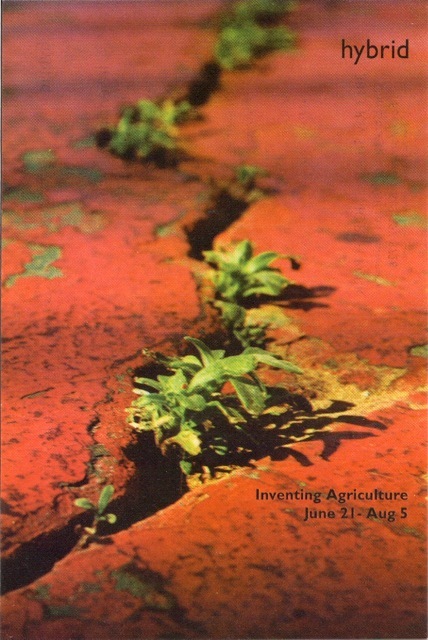 In the summer of 2002, artists Anne Mudge and Diane Gage excavated a crack in a San Diego sidewalk in front of Hybrid Gallery in North Park. In the crack they planted and watered seeds. 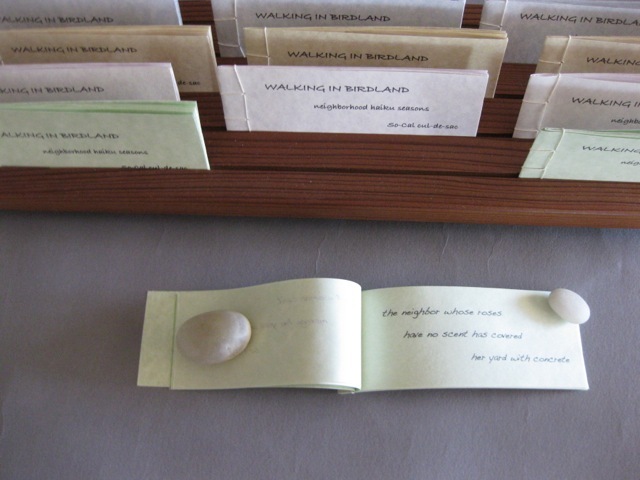 In the gallery they installed a crack garden, consisting of a piece of cracked sidewalk planted with herbs and flowers. They also displayed tools used in the process and a poem called The Toolkit. Diane Gage: I find myself thinking of the development of human culture through two basic patterns, the nomadic and the settled. Urban settings combine both — substituting the motorized vehicle for the horse, the concrete and asphalt jungle for plains and forests, the yard for the field and the grocery store for the silo and cellar. Diane: Or pedestrians? I like the idea and image of combining wanderer with planter. We could exploit cracks in the urban armor, plant gardens in bits of neglected urban space, invite walkers, at least, to relate to the earth under our feet, the ground of being. 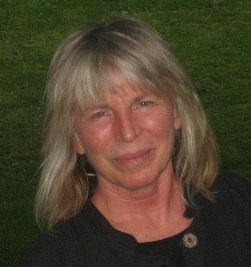 Anne: We can restore human scale to making marks on the land. 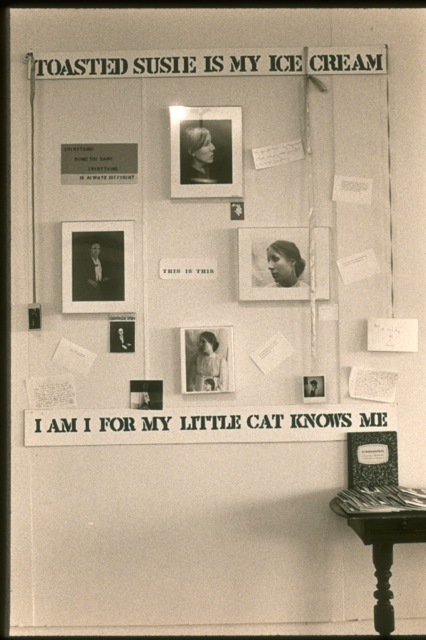 In Somebody Being Somebody, Diane posed as famous writers and artists such as Virginia Woolf, Gertrude Stein, Oscar Wilde for photos taken by photographer Connie Dolgin Rawlins. This photo shows one section of a larger installation at the CWSS Gallery in downtown San Diego that was documented in Cafe Solo and High Performance magazines. White Thought in a Green Shade is from the Cold Comfort Quilt series where quilt forms and processes were used to shape non-traditional materials. 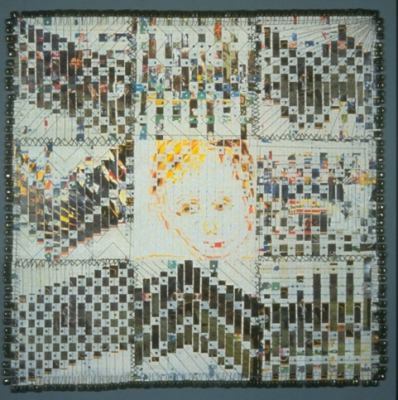 This particular quilt consists of squares of interwoven tractor-feed computer and other papers, embellished with computer parts and sewn together. 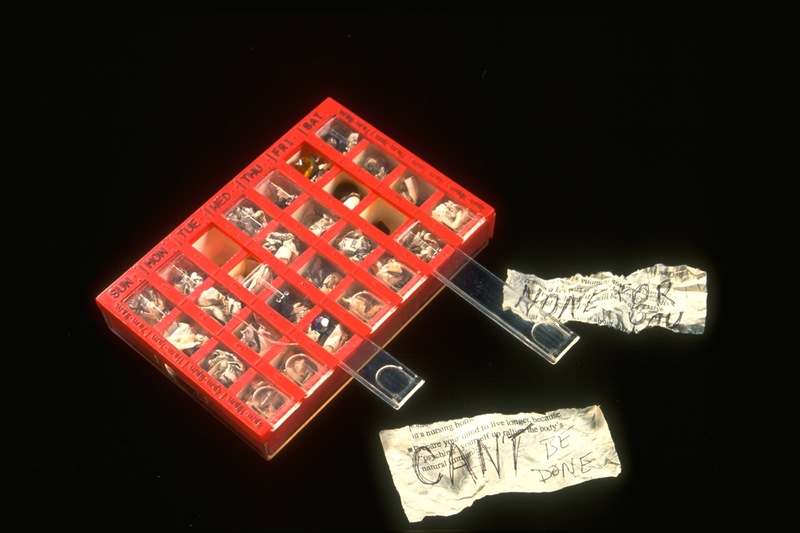 Mithridates is a artist’s book containing little poison pills of discouragement in a plastic pill box. Mithridates was an ancient king known for cultivating immunity to poisons by ingesting sub-lethal amounts of them every day. 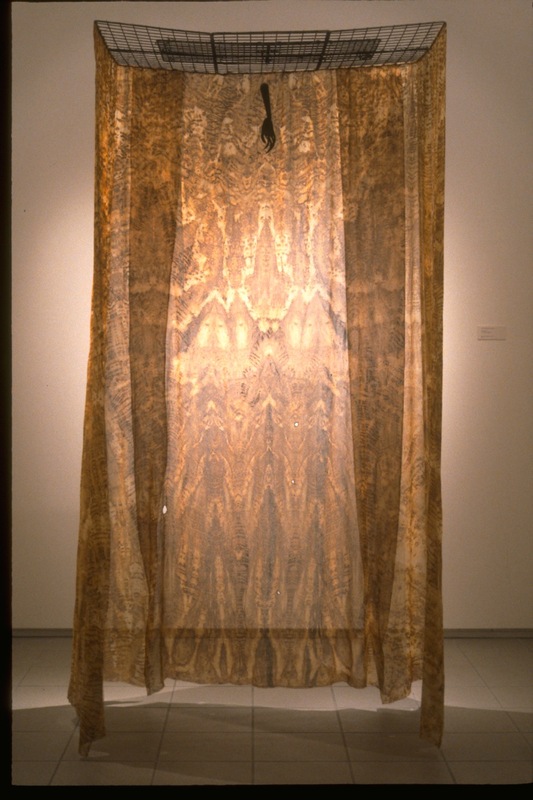 Miss Havisham’s Closet, from the Rust series, appeared in an installation at the Oceanside Museum of Art. It’s made from silk printed with rust and the title refers to a character in Charles Dickens’ classic Great Expectations. 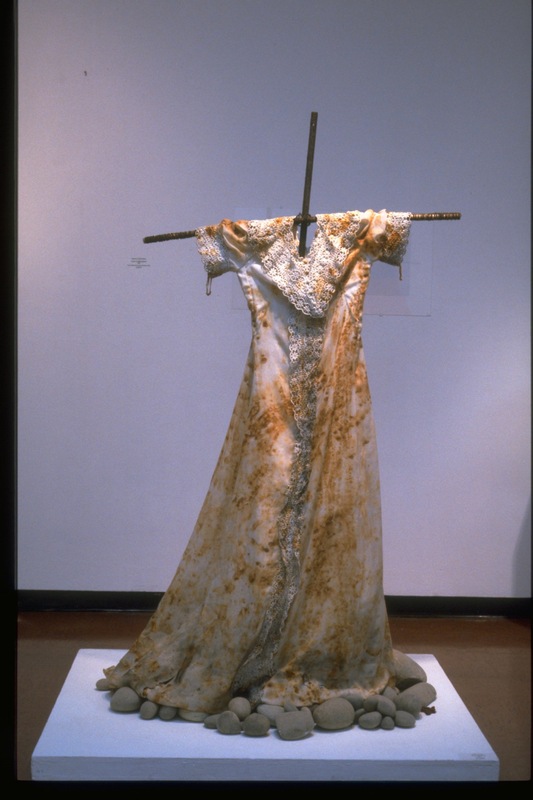 Rust Wedding was exhibited at Boehm Gallery, Palomar College. The title is a nod to Federico Garcia Lorca’s drama, Blood Wedding. Find out more about Walking in Birdland in Interview, Part 1.